St. Bernard of Clairvaux (1090 – August 21 1153), abbot of Clairvaux, was a highly influential French churchman, theologian and mystic. He was one of the founders of the Cistercian, or Bernardine, monastic order. Turn me wholly unto Thee; "Be thou whole," say openly: "I forgive thee all." Sunt qui scire volunt tantum, ut sciant, et turpis curiositas est. I have freed my soul. as if thou wert emptied and lost and swallowed up in God, is no human love; it is celestial. the weakness of corruption fails him, and above all brotherly love calls him back to duty. Seeing that the Scripture saith, God has made all for His own glory (Isa. 43.7), surely His creatures ought to conform themselves, as much as they can, to His will. In Him should all our affections center, so that in all things we should seek only to do His will, not to please ourselves. And real happiness will come, not in gratifying our desires or in gaining transient pleasures, but in accomplishing God’s will for us: even as we pray every day: ‘Thy will be done in earth as it is in heaven’ (Matt. 6.10). O chaste and holy love! O sweet and gracious affection! O pure and cleansed purpose, thoroughly washed and purged from any admixture of selfishness, and sweetened by contact with the divine will! To reach this state is to become deified. As a drop of water poured into wine loses itself, and takes the color and savor of wine; or as a bar of iron, heated red-hot, becomes like fire itself, forgetting its own nature; or as the air, radiant with sun-beams, seems not so much to be illuminated as to be light itself; so in the saints all human affections melt away by some unspeakable transmutation into the will of God. For how could God be all in all, if anything merely human remained in man? The substance will endure, but in another beauty, a higher power, a greater glory. When will that be? Who will see, who possess it? ‘When shall I come to appear before the presence of God?’ (Ps. 42.2). ‘My heart hath talked of Thee, Seek ye My face: Thy face, Lord, will I seek’ (Ps. 27.8). Lord, thinkest Thou that I, even I shall see Thy holy temple? That beast of the Apocalypse, to whom is given a mouth speaking blasphemies, and to make war with the saints, is sitting on the throne of Peter, like a lion ready for his prey. "That beast" to which Bernard refers is antipope Peter Leonis. One cannot now say, the priest is as the people, for the truth is that the people are not so bad as the priest. Ut populus, sic sacerdos is a quotation from Isaiah 24:2. Qui se sibi magistrum constituit, stulto se discipulum subdit. He that will teach himself in school, becomes a scholar to a fool. Vulgo dicitur: Quod non videt oculus, cor non dolet. It is commonly said: What the eye doesn't see, the heart doesn't grieve. Qui me amat, amat et canem meam. Who loves me, loves my dog. Bernard quotes this as being a proverb in common use. Ego addo et de pertinacia Græcorum, qui nobiscum sunt, et nobiscum non sunt, juncti fide, pace divisi, quanquam et in fide ipsa claudicaverint a semitis rectis. I, for one, shall speak about those obstinate Greeks, who are with us and against us, united in faith and divided in peace, though in truth their faith may stray from the straight path. "Greeks" refers to the (Eastern) Orthodox Church. "My burden is light," said the blessed Redeemer, a light burden indeed, which carries him that bears it. I have looked through all nature for a resemblance of this, and seem to find a shadow of it in the wings of a bird, which are indeed borne by the creature, and yet support her flight towards heaven. The true measure of loving God is to love Him without measure. The faith of simplicity is mocked, the secrets of Christ profaned, questions on the highest things are impertinently asked, the Fathers scorned because they were disposed to conciliate rather than solve such problems. Human reason is snatching everything to itself, leaving nothing for faith. It falls upon things which are beyond it...desecrates sacred things more than clarifies them. It does not unlock mysteries and symbols, but tears them asunder; it makes nought of everything to which it cannot gain access and disdains to believe all such things. Do what Jesus says,... what he commands through his ministers who are in the Church [see 1 Cor 6:4]. Be subject to his vicars, your leaders, not only those who are gentle and kind, but even those who are overbearing [see 1 Pt 2:18]. It’s not as if grace did one half of the work and free choice the other; each does the whole work, in its own peculiar contribution. Grace does the whole work, and so does free choice – with this one qualification: That whereas the whole is done in free choice, so is the whole done of grace. In truth, you have been raised to this chair for the fall and rising again of many. It is difficult now to look back across the centuries and appreciate the tremendous impact of his personality on all who knew him. The fire of his eloquence has been quenched in the written words that survive. As a theologian and a controversialist he now appears rigid and a little crude and unkind. But from the day in 1115 when, at the age of twenty-five, he was appointed Abbot of Clairvaux, till his death nearly forty years later he was the dominant influence in the religious and political life of western Europe. Steven Runciman, in The History of the Crusades ([1951-4] 1971) vol. 2, p. 252. There were some men whose genius and virtues would have adorned any age. Among these was... Bernard of Clairvaux (1091-1153), whose pen was to control Christendom for a generation, and whose sainthood shines through all ages, was in the nursery when the soldiers of the cross started for the East. There were noble women, too. Bernard owed much of his talent and virtue to his mother, Aletta, whose memory is the imperishable ornament of womanhood. ...The intellectuality of this period exercised itself almost entirely with theological and religious subjects. Men in seclusion elaborated and defended existing church doctrines and gave pious flight to their imaginations. But of literature as such there was none; even the Troubadours had not begun to rhyme the Provencal tongue. The hot breath of the crusades themselves forced the debris of the Latin to send out its first flowers of poesy. From the days of Charlemagne it had been the custom to signalize entrance upon manhood by buckling about the loins the sword, the investment with "virile arms." The church, in hopeless inability to check the universal passion for fight, sought only to direct it to the suppression of ecclesiastical enemies. ...Bernard, without dispute the holiest man of the twelfth century, offered no excuse or palliation for his harangue to the faithful. "Let them kill the enemy or die. To submit to die for Christ, or to cause one of His enemies to die, is naught but glory." The church steadily compacted its power about thrones and people. The authority of the Papacy was especially augmented in this period by its temporary success against a movement whose ultimate triumph was destined to cost the Roman Church its dominance of Christendom, viz., the impulse towards liberal thought. The standard-bearer of this essential Protestantism was Abelard. This astute reasoner placed the human judgment, when guided by correct scholarship, above all traditional authority. The popularity of his teaching was a serious menace to the doctrines of the church, so far as these rested upon the dictation of the popes. The consternation of ecclesiastics was voiced by Bernard, the Abbot of Clairvaux who declared, in his appeal to Pope Innocent II: "These books of Abelard are flying abroad over all the world; they no longer shun the light; they find their way into castles and cities; they pass from land to land, from one people to another. A new gospel is promulgated, a new faith is preached. Disputations are held on virtue and vice not according to Christian morality, on the sacraments of the church not according to the rule of faith, on the mystery of the Trinity not with simplicity and soberness. This huge Goliath, with his armor-bearer, Arnold of Brescia, defies the armies of the Lord to battle." The Goliath fell, but by no pebble from the sling of a David. Bernard was justly reputed the greatest mind of the age. He hesitated to enter into a learned controversy with Abelard, but smote him with a thunderbolt of excommunication, which he secured from the hands of the occupant of the Vatican throne. It was while the papal territory in Italy was... occupied by the adherents of Arnold that the second crusade [1145–1149] was inaugurated. 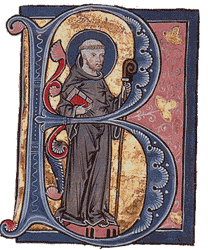 Bernard, Abbot of Clairvaux, was its chief inspirer, both in counsel with the leaders of Europe and with his voice as its popular herald. High above generals and scholars, beyond kings, emperors, and popes, this man stands in the gaze of history. His repute for wisdom and sanctity was extended by miracles accredited to his converse with Heaven. Believed to be above earthly ambition, he commanded and rebuked with a celestial authority. Papal electors came to consult the monk before they announced their judgment as to who should be Pope, and when on the throne, the Pope consulted the monk before he ventured to set the seal of his infallibility to his own utterances. Bernard's humility may have been great Godward, but it was not of the sort to lead him to decline the solemn sovereignty of men's minds and wills. When Henry I of England hesitated to acknowledge Innocent II, Bernard's choice for Pope, on the ground that he was not the rightful occupant of the holy see, the monk exclaimed, "Answer thou for thy other sins; let this be on my head." When Lothaire of Germany demanded of the Holy Father the renewal of the right of imperial investitures, the saint threw his spell about the emperor and left him submissive at the feet of the pontiff. When Louis VII of France, in his rage against Thibaut, Count of Champagne, carried devastation through the count's domains and burned the church of Vitry, with thirteen hundred of its citizens who had there taken refuge against his vengeance, Bernard openly rebuked the king, and with such effect that the monarch proposed, as a self-inflicted penance, a pilgrimage to Jerusalem, there to wipe out his guilt in the blood of Moslems. In this purpose of Louis VII originated the second crusade. Pope Honorius delegated Bernard to preach throughout France and Germany the renewal of the holy war. 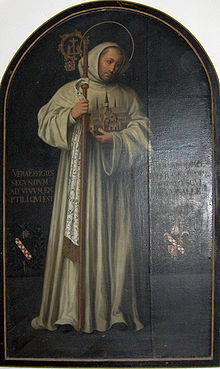 Drawn as much by the fame of the monk as by the mandates of the king and the Pope, a vast assembly of prelates and nobles gathered at Vézelay in Burgundy. A large platform was erected on a hill outside the city. King and monk stood together, representing the combined will of earth and heaven. The enthusiasm of the assembly of Clermont in 1095, when Peter the Hermit and Urban II launched the first crusade, was matched by the holy fervor inspired by Bernard as he cried, "O ye who listen to me! Hasten to appease the anger of heaven, but no longer implore its goodness by vain complaints. Clothe yourselves in sackcloth, but also cover yourselves with your impenetrable bucklers. The din of arms, the danger, the labors, the fatigues of war, are the penances that God now imposes upon you. Hasten then to expiate your sins by victories over the Infidels, and let the deliverance of the holy places be the reward of your repentance." As in the olden scene, the cry "Deus vult! Deus vult!" rolled over the fields, and was echoed by the voice of the orator: "Cursed be he who does not stain his sword with blood." The king set the example by prostrating himself at the feet of the monk and receiving from his hands the badge of the cross. "The cross! the cross!" was the response of thousands who crowded about the platform. Queen Eleanor imitated her husband and was followed by such a host of nobles bishops and knights that Bernard tore his garments into strips to supply the enthusiasts with the insignia of their new devotion. Similar scenes were enacted throughout France wherever the saint appeared. Eye witnesses do not hesitate to tell of miracles wrought by his hands emblazoning his mission with the seals of heaven. Not distrustful of the king, but credulous of the heavenly mission of Bernard, the multitude, including the most noted warriors, called for the monk to become their military leader. Only the intervention of the Holy Father, who declared that it was sufficient for the saint to be the trumpet of Heaven without wielding the sword, allayed the universal demand. St. Bernard said of Henry, "He comes of the devil and to the devil he shall return." Before a vast assembly in 1097 Pope Urban II said: "If you must have blood, bathe your hands In the blood of infidels. ...soldiers of hell become soldiers of the living God." Whereupon the multitude shouted: "It Is the will of God." Bernard, the holiest man of his century, cried out: "...Cursed be he who does not stain his sword with blood." In 1188 the Pope ordered prayers against the Saracens to be said daily. Kirby Page, Jesus or Christianity, A Study in Contrasts (1929); as seen from the above quotes, this Bernard quote was mistakenly transposed from the second Crusade to the first.